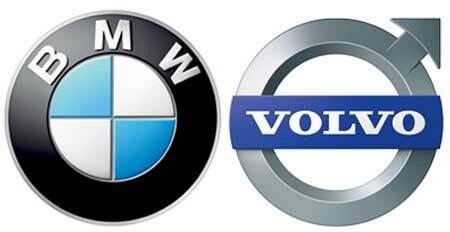 BMW reportedly interested in buying Volvo? Autocar says BMW seriously considered taking Volvo off of Ford’s hands earlier this year, going so far as to request financial data about the company, which is surprising on several levels. First, does this mean Volvo is for sale? Bill Ford has said nothing in Ford’s Premium Auto Group is sacred, but Volvo seems to be one of the company’s shiniest jewels. Perhaps the greatest surprise would be BMW’s Quandt family overcoming its aversion to buying another carmaker after the much maligned purchase of Rover. Despite ending up with the popular MINI brand, it’s well known that the Quandts were not happy with the whole mess. Speaking of the MINI brand, Autocar theorizes that had BMW written a check for Volvo, future small cars from the Swedish automaker might have been based on a platform shared with an expanded MINI lineup. Autocar daydreams that by sharing with Volvo, MINI might have expanded its lineup with a sedan and that rumored SUV variant, the Colorado. On the other hand, larger, more upscale Volvos could have been BMW-based. Which leads us to another quandary in this rumored buyout deal. How would BMW have positioned Volvo’s quite similar lineup against its own? Both have a full selection of premium coupes, sedans, wagons and SUVs targeted at upper income buyers. Granted, Volvo touts safety while BMW espouses to be the “Ultimate Driving Machine,” but wouldn’t sales of the V50 have competed with the 3-Series wagon? The V70 with the 5-Series? Upside? Well, Ford would have gotten another short-term financial boost and BMW would have had the potential to save money with platform sharing.